Planter boxes are a relatively easy and simple way to get your yard ready for spring. 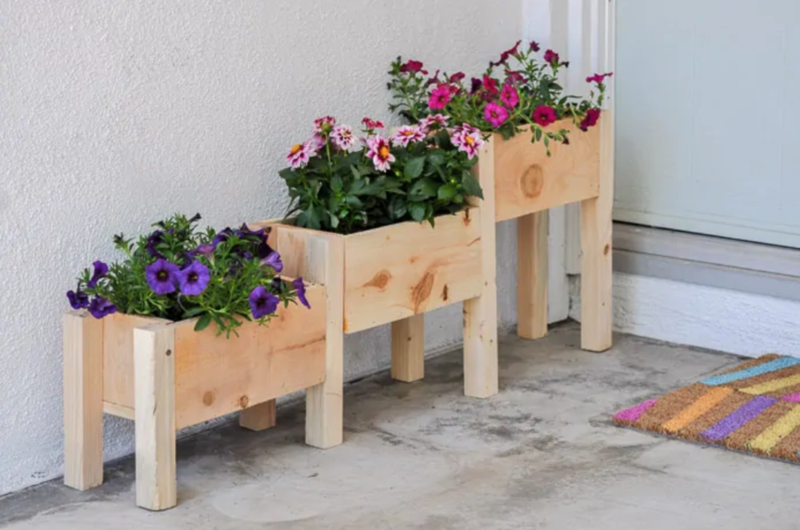 Whether your yard is short on space or you don’t want to dig up your yard for a garden, planter boxes are a great way to exercise that green thumb without breaking the bank! Planter boxes can be made into any shape and size, and out of various materials. For this article, we will be building a basic wooden planter box that can easily be customized to fit your patio and garden design. First, determine how big you want your wooden planter box to be. Once you have decided, measure the dimensions you need to make the board, then neatly cut them with a saw. Start with the side before getting to the base. Once you have created the walls, attach them to each other using galvanized screws (screws that have been coated with a layer of zinc to guard against rust). Make the bottom part last and use the same screws to attach it. Cleats can be made of scrapped wood, but must be the same height. These small wooden pieces are important because they raise your planter box from the ground. Not only does this create a more visually appealing planter box, but it also allows water to drain from the box. Don’t forget to drill small holes under the box so your plants can properly drain. Now that your DIY planter box is finished, you can leave the wood unfinished for a natural, rustic look or use stain to achieve the style you envision. In need of tools for all of your spring and summer DIY plans? Shop our competitively priced and top quality brands here!